Below are four of Cal's non-trophy trophies (?). All were taken with my .450-400 Harrison and Hussey boxlock ejector with a Swarovski scope. 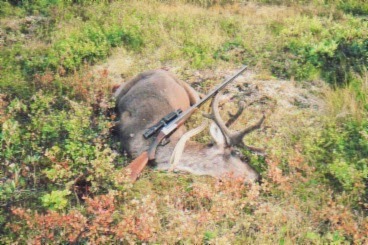 The caribou was a 2004 meat animal taken on the Yukon Border in Alaska. 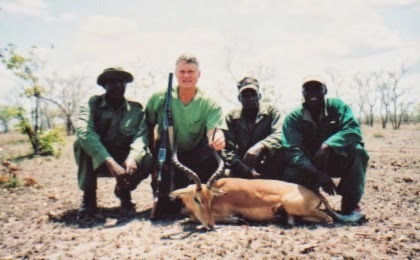 The impala was leopard bait in Tanzania in 2006. 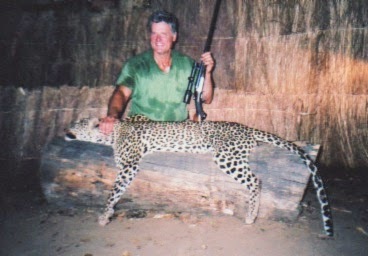 The Tanzania leopard was also in 2006. 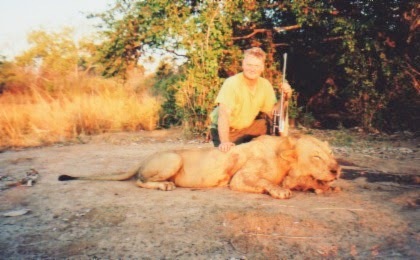 He was a good cat but was wounded a few months prior by a Russian client and infection set in. Upon cleaning him, he stank to high heaven and his internal organs were green in color. He was over 7-feet long but weighed well under 100 pounds as he was starving. The lion was a major disappointment. My PH told me he was a 5 1/2 year old lion with little mane due to living his live in the bush. Actually, he was a 2 1/2 year old sub adult and should not have been shot. I didn't know this then.